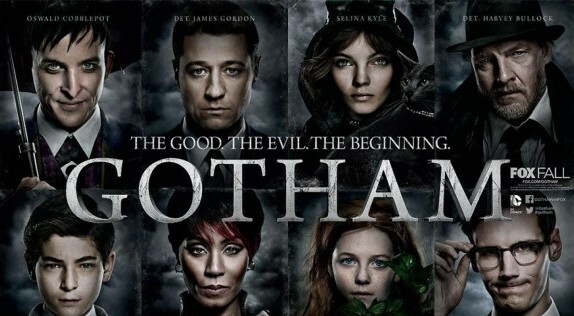 Did you watch Gotham on FOX tonight? I find it interesting how this is just episode one and they are already throwing out at least a half dozen names of various villains. Are we going to see new characters being added or watch as these people that are old enough to get a little psycho on us evolve. The way that James Gordon‘s partner is named Harvey, which catches your attention. You are thinking, “Wait a minute, I thought Two-Face was an attorney.” You are right his partner’s name is Harvey Bullock. But it still leaves you wondering. What about Jada Pinkett Smith?’s character Fish Mooney? I get the opinion that she is going to be play a huge role in all of this. Is she trying to be the leader of the mob and play God over Gotham? But she does not have permission to kill policemen? How far does Carmine Falcone go into the Police Department. Why is that the only real nickname we have heard so far is The Penguin? Episode 1 has definitely left us wanting more and to know the truth, but are we ready for the truth?